Charlie Booze Jr. is no stranger to the drag race nation. Twenty-five years under his belt and still counting, Charlie is looking forward to yet another great season of tearing down the tracks! 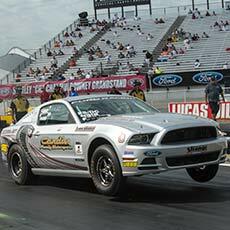 Booze Jr. made his 2014 season debut last weekend by bringing the speed down South to Commerce, GA. I caught up with him at the NMRA/NMCA All Stars race at the Atlanta dragway for an interview, and an inside look into what the Booze Brothers legacy is all about. 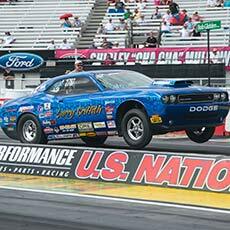 Charlie Booze Jr. began fresh out of high school racing street cars. 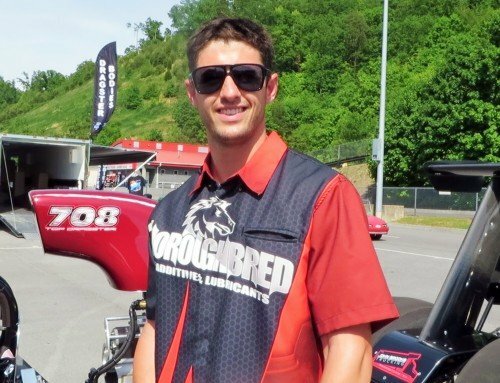 Hailing from a family of automotive enthusiasts, cars and racing is all Charlie has ever known. His father started their family repair shop at the age of 24, and with the help of Charlie and his brother, they have developed what some might consider a Booze Empire! CEB Motors & Booze Brothers Performance (located in Marion, PA) is a full service and repair speed shop, including tag and title handling, full chassis dyno tuning, a convenience store and even a filling station! 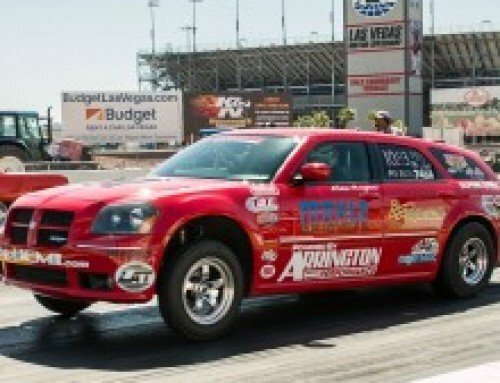 Charlie now races in the NMCA, NA 10.5 class with his candy apple red weapon of choice, the “Freight Train”! Booze`s Freight Train, a 1992 Ford Mustang GT, is outfitted with a full stock of Strange Engineering performance products. Namely the front brakes, rear brakes, 40 spline gun-drilled axles, 9″ center section, shocks and master cylinder. 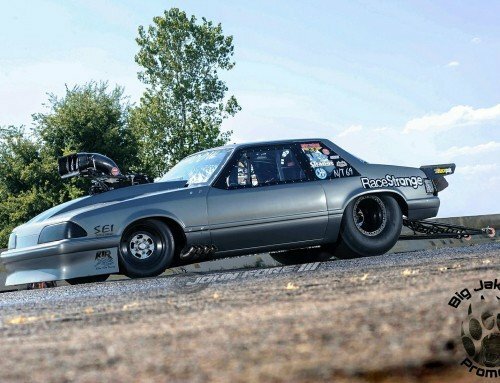 Booze boasts that since he began racing the “Freight Train” in 2003, he has never broken a Strange Engineering product, other than the average wear and tear on the brake pads and rotors. His belief in the superior quality of Strange Engineering is what has led him not only to being a long time racer of Strange products, but also a long term dealer of Strange Engineering out of his own shop. 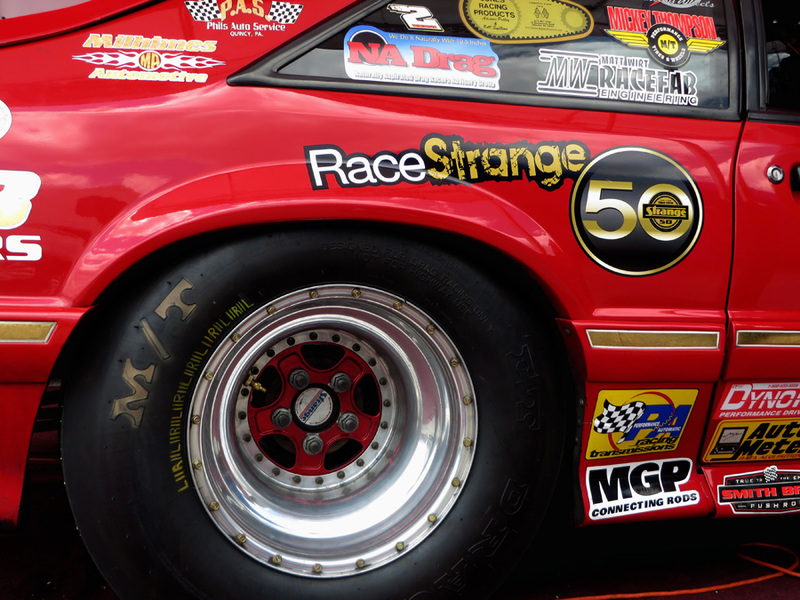 Well, we`ve won 75 or 76 heads up drag racing events and been in 92 finals out of around 125 events over 12 years. We have had a good winning percentage with the car, and we have run with the Strange Engineering deal the whole time. So it has been a noise maker, I guess that`s how the name got started! Coming from a family with a love for all things automotive, I am sure that you had plenty of options when choosing your performance parts. How was it that you got started using Strange products? The first set of axles I bought was for my Torino. I have a `71 Torino, 4-door sedan, that I just street raced like a “sleeper”. People didn’t really know what it was, but it sure got with the program! I started breaking the stock axles and had to start shopping around. After looking, I had to go with Strange. The look, the deal, the package was like nothing I`ve seen. I bought the Street Package (Alloy axles), and it is still in there to this day. I think I was probably one of the first customers to purchase that Street package when it came out. They were a little less priced, and they were directed more for Street cars, which back in the mid 90`s, wasn’t anywhere near as big as it is today! The Strange axles are bulletproof in my opinion. I know that there are other companies that make good stuff, but Strange…I mean, the fit, the finish, the look, the quality, I haven’t seen anything else like it, so I am sticking with it. Being active in the racing world for the last 25 years, I am sure that you have seen the sport evolve. What trends have you seen with performance products? When it comes to choosing a street (Alloy axles) application or pro race (Hy-tuf) application with axles, do you have the majority going to one side or the other? It`s pretty middle of the road as far as what people come to the shop for. A lot of guys just want something upgraded from what they have with stock, which can be a real headache at the racetrack. When you’ve got a good hook and track and you snap an end off of your stock axle and wreck the car, you know it’s a bad time. So if for nothing else, it’s a safety feature for guys to have. 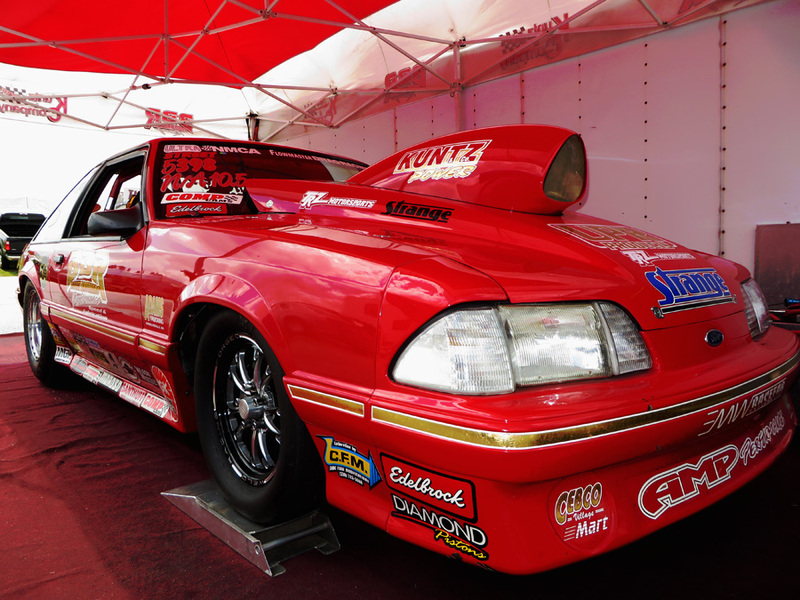 C-clip eliminators are a requirement once the car gets so quick, which, a ton of mustangs didn’t have that. But even the baseline axle that Strange sells is far and away enough for most guys. You get up into something that is really really fast, or really heavy, then you need to step up into the top shelf products; but for the majority of average guys, the Street/track (Alloy) axles are what we are putting in the cars. And that is mainly who I deal with, the average guy. 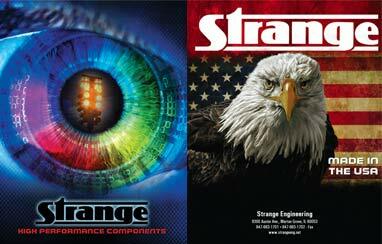 Strange Engineering has always gone hand in hand with high quality. 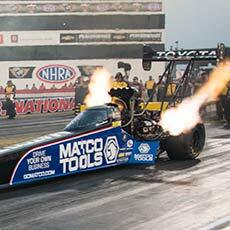 But everyone knows that when you are drag racing, you have to also watch out for your wallet. As a dealer, do you find more people looking past the price to find the quality, or vice versa? I believe wholeheartedly in Strange Engineering. For their safety, their quality, and their fair pricing. 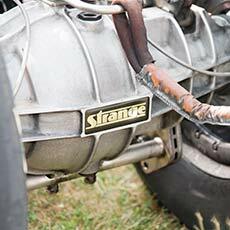 Unfortunately though there is a misconception that Strange Engineering is only for the “high end racer”. But for the last ten, or even fifteen years, Strange has done a Street (Alloy) axle. What I always tell people to dispel that thought, is that they aren’t anymore than anyone else`s axles. Because for me, when I was looking, I saw that “well, I can get the other guys` for this price, but Stranges’ only cost that!” And when it`s the same amount of money, well, I`m going Strange! 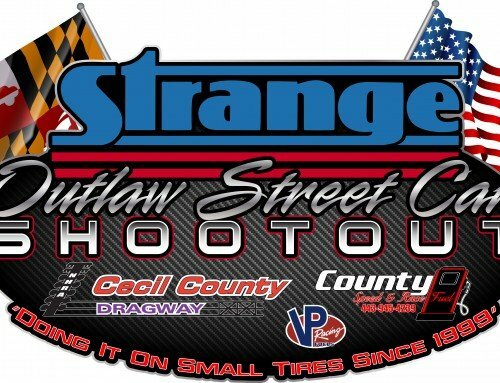 People have the misconception that Strange equals “I cant afford it”, but the reality is that you don’t have to buy the pro race (Hy-tuf), or 40-spline gun drilled axles, or what all of these top fuel guys are running. You’ve got these Strange street products out there that are made for street cars, and are at a fair price, that are designed for the average guy. Because everyone out here is on a budget. We all have families and kids to buy for, and hopefully still have a little bit of money stowed away for dad to play with his car- so you’ve got to save where you can. 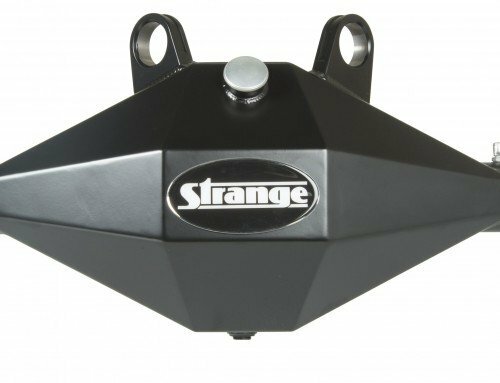 Strange can give you an axle that is the same price as the next guy, and will give you a superior product. I mean you lay them out, and even the baseline stuff, Strange has a better look, just from looking at it. How has the weekend been for you here at the All Star race? Are you happy with your results so far? Sitting number three right now. It was a pretty big push to get here. The car has been on the rack since this past November! We have been so covered up with work I haven’t had time to do any work on the car. We had a lot of people really pushing for us to get out to this race. So we literally blew the dust off of it and rolled it out of the trailer and ran it 8.03 today, so, not bad for it`s first run of the season! We are on the good side of the ladder, hoping to make some noise out there! Anyone in particular that you credit your racing success to? You really have to give credit to everyone who allows you to race out here and have the best of both worlds.I am thankful to Strange for supporting us for all of these years, all of our friends and family for coming out to the races, and the competitors, because you cant race alone! Definitely most of all to my family though, for allowing me to be out here and race, without hassling me to stay in the shop and work! My family is what makes it possible for me to do this. Before I let you go, what would you like for people to know about your shop? Where can people find you and what all do you offer? Our shop is CEB Motors & Booze Brothers Performance, located in Marion, PA. We are a full service speed shop. We directly deal with a lot of companies and just about anything that is available we can get. We do dyno chassis tuning, and we work on just about any type of race car- we work on all brands. All of the experience and time and money that we put into our racing works in our advantage to help everyone else. All they have to do is bring it to me and tell me what they need and we can do it. 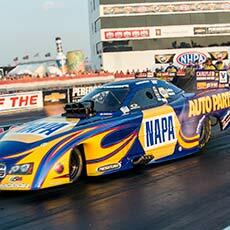 I have worked on all brands of cars and all types of race cars, and they’ve all been fast. Our websites are www.Boozebrothersperformance.com and our shop site is www.CEBMotors.com, and both our racing team and our shop have Facebook pages, so we are easy to find! Look us up and check us out! Charlie went on to qualify 3rd with an 8.03 @ 168.24. 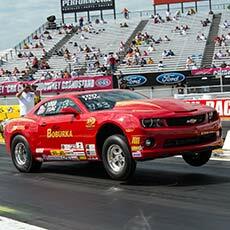 He made the final runnings in all four rounds and ended the weekend with a Runner Up, running 8.08 @ 167. 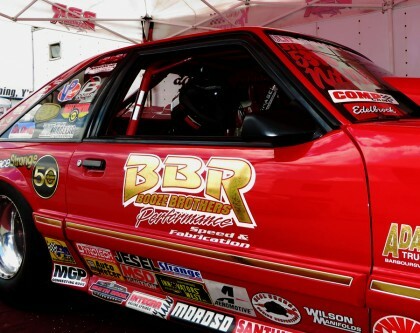 Charlie and the Booze Brothers Racing Team overall had a great weekend for the first showing of the “Freight Train” this year and are looking forward to racing strong and fast in true “freight train fashion” for the 2014 season!